Be a part of the Catskills Renaissance! 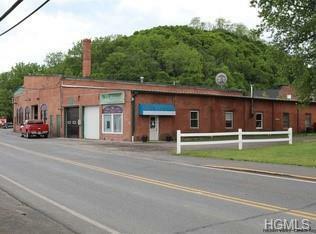 This mixed use commercial property is on the busy corner of W Bridge St and W Main St. The property consists of 2 buildings on 4 deeds. The building was renovated in 2012, has brick exterior and is 12,960 sq. ft. 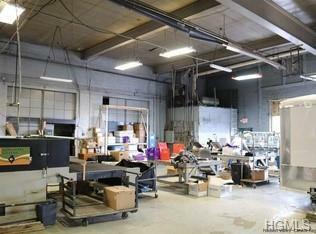 It is currently operating as a print shop boasting 25 ft radiant heated ceilings, five 10-12 ft overhead doors with air conditioned office space and a retail show room! Space includes 1 full bath, 1 1/2 bath 3 phase, 400 amp electric a new furnace. 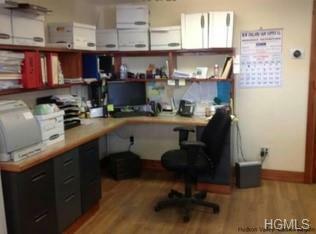 In addition, there are 2 income properties both with their own entrances, and bathrooms. The front rental has separate electric and an oil furnace.Renovated in 2012.Located in the heart of the Catskills, experiencing a booming revival.Water front on the next block over with pretty views of the Catskill Creek! Listing courtesy of James F. Walker of Keller Williams Hudsn Vly Untd.